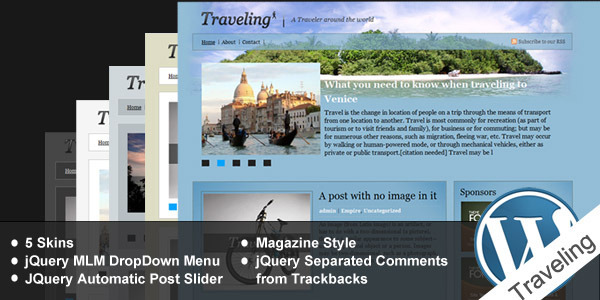 Clean and nice looking wordpress theme. 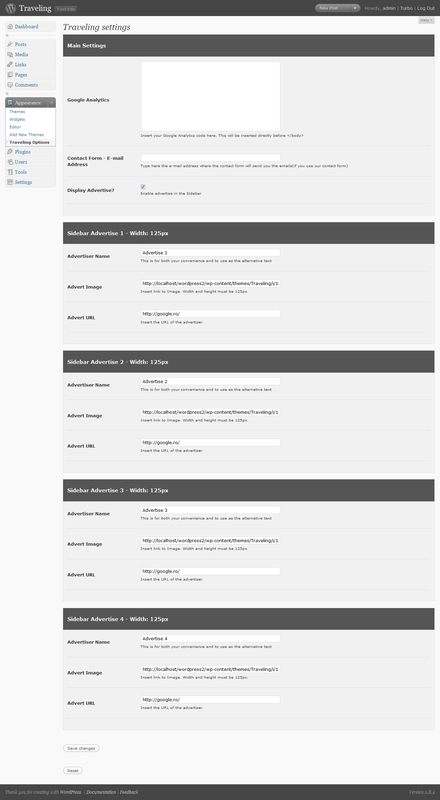 Very intuitive Theme Options Page from where you can select the desired header image, insert Google Analytics code or choose those 4 125*125 Ads that will appear in your Sidebar. 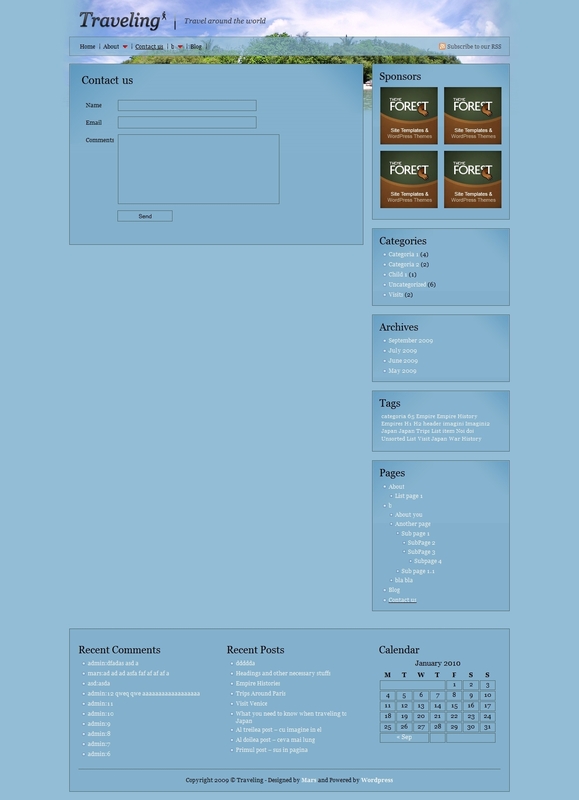 The theme comes with a contact form which is really simple to configure and use. No plugins necessary for this job. Documentation file is also provided with the theme . E-mail support. If you have any questions, my e-mail address is listed on the help file, i’ll be glad to help you.